This site has been silent for the last month. I was on a trip on the Amazon River. I got as far as Manaus, Brazil and then came back out. A little later I’ll post some photos of the region, but my theme today is American Eagle. To get to most places east, north, or south of Lubbock you have to go through Dallas. To get to Dallas you have to fly the Eagle. Well, you could drive or take Southwest to Love Field and then take a cab to DFW. I used to do that a lot before Southwest’s service went south. So, I use the Eagle or rather the Eagle uses me. The outgoing flight was uneventful, at least by Eagle standards. We arrived in Dallas only two hours late and missed our connecting flight. No big deal, there was another in a couple of hours. Thus, arriving at our final destination about four hours later than planned was pretty good as we had allowed for a two day window of lateness. The return trip was super. We arrived in town only an hour late. But don’t think that the Eagle didn’t make this trifling delay uneventful; the triple negative is to spare the Eagle’s feelings. 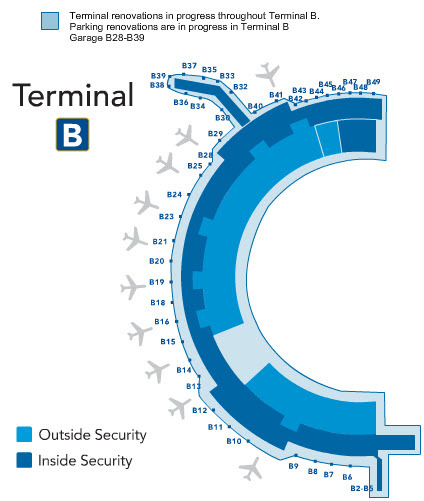 At DFW the Eagle uses B Terminal. The airport keeps adding gates to this terminal; there are now more gates in it than there are cards in a pinochle deck. And the Eagle can’t make up its mind (for the lack of a better word) which it intends to use. We always make our Dallas to Lubbock flight as tight as American Airlines will allow as there’s no danger of an on time departure. In fact, we got to Dallas about 20 minutes early. We were then directed to gate B 41. When we got there we were told that our flight would leave on time. Knowing this was a fiction we ate a sumptuous dinner at one of DFW’s fine fast food emporiums. When we returned to B 41 about 20 minutes after our flight’s scheduled departure we were informed that while the plane’s crew had arrived the plane itself had not. No one seemed to know where it was. I called the Platinum Desk at American Airlines. They didn’t know where it was either. We were also told that the gate would be changed, but this gate’s identity was not yet known. A short while later we were sent to B 5. Ten minutes later we were sent to B43, then to B 21, then to B 50 (that was a joke as there is no B 50), finally we settled in at B 43 where a plane mysteriously appeared out of the ether. It had come from somewhere as people were getting off it. I asked one of the exiting souls where they had come from but he also didn’t know. About an hour after the flight’s fictional time of departure a gate attendant dressed in a Mickey Mouse suit said that first class passengers could board. There’s first class on a 54 passenger commuter jet? Who knew? Of course, all 54 passengers converged on Mickey in an approximation of Black Friday at Walmart. said displaying four vampire canines. “It fits under the seat,” said my wife while flashing an ingratiating smile. “Yes it does,” the smile had vanished like profit in an off shore oil drilling outfit. This pitiful plaint momentarily distracted Grimhilde and my wife made a rush to her seat and in a move that Pele would have envied simultaneously sat down and put her carry on under her seat. “I’ll have a cup of black coffee and a glass of ice,” was my spouse’s response her gaze fixed on the Wall Street Journal she help upside down in front of her face, her reading glasses still in her purse. And so we were, but my suitcase stayed in Dallas. The Eagle delivered it to my front door about seven hours later. But only after the delivery service’s nonagenarian driver called me and asked for directions. Delivering lost luggage for the Eagle would seem a full time job with life long job security and yet the Eagle’s car had no GPS in it. It must be the only car service in Texas without GPS. But I’m home and I got some good pictures and can still remember most of the trip between the two flights on the Eagle. The photo above was taken at dusk on December 13 in the Antigua harbor.